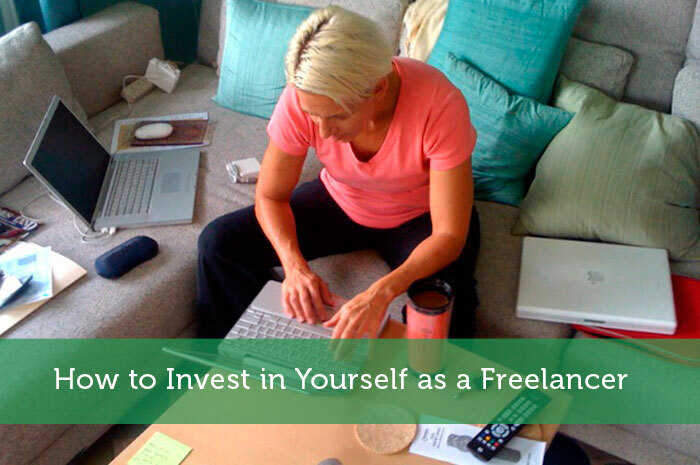 Great news for freelancers: you’re in high demand right now! Freelance work in almost any digital industry is in extremely high demand, and is available stateside too. Payroll company ADP.com reports that high growth is occurring in small and mid-sized businesses. These are the same companies that outsource the minutia so that in-house employees can focus on scaling. Unfortunately, going freelance isn’t an easy transition. Aside from quitting your job, with or without a safety net, you have to navigate the world of owning a business. As an independent contractor, you essentially run your own business. If you want to grow your business, you need to figure out how to make your money work for you. That’s a challenge when you’re barely squeezing by. Don’t expect to grow by millions in the beginning, unless you have incredible luck, but these tips will help long-term freelancers grow responsibly. When you’re buying a home, you put money into an escrow account that disperses the funds to where they need to go. The company will take funds from the buyer and the seller, then distribute what is needed to the agent and various others involved in the transaction. That money is there so it won’t get spent. It’s reserved for exactly what it’s being used for, and that’s how you should begin approaching your life if you can manage it. Look at your finances for the year, calculating how much you’ll make and where it will go. Begin with your necessities, then add up miscellaneous items like entertainment or car repair. Try to bank the money you’re placing into escrow for these events into an interest bearing account. You’ll earn interest on whatever is there, and can pocket whatever you don’t spend. If you commute to a location for work, consider a carpool to cut gas costs. You may want to consider cutting either your land or mobile phone lines, depending on what suits the needs of your business best. Always go for the cheapest possible route, without expending too much of your time. Cutting out things like a morning Starbucks run puts even more money in your pocket. Consider it like interest returns on your money, and put those gains toward something profitable to you. Another obvious place for a budget cut is cutting your cable bill. Most places in the US have access to decent Internet and Netflix or Amazon, so take advantage of those sources for your entertainment. Some basic education on the principles of investing will go a long way in building your finances. Freelancers are sometimes business-minded people looking to launch a company, sometimes just workers in transition. Investing in stocks, bonds and funds will help boost your savings. Try to make it a point to take some of your money each year and put it into an interest bearing account of some sort. Even if it’s a small amount like $5,000. It helps to start with anything and build on it with routine monthly payments. Hire a tax person. A good tax person can deduct their own costs from your taxes and essentially pay for themselves by finding you savings through deductions. There are a lot of complicated loopholes in tax law, and your tax person will know exactly how much is safe to deduct without triggering an audit from the IRS. In some cases, your tax person will even offer a defense for you in court if you are sued. The purpose of hiring a good tax person is to get a larger return. They will also provide you with some idea on how to reinvest that return. If you own a home, for instance, pouring your return into the house is a good method to grow your cash reserves. You can also invest it in funds, or put it towards some of the expenses your business accumulates. Very true about the accountant or tax specialist, just by saving you money on taxes they pay for themselves. And the laws change often so that means a lot of studying to stay up to date, which takes a lot of time if you do it yourself. I definitely agree about cutting your costs. When I left my job to go out on my own I had stripped back my expenses so much that I didn’t need to find much work to make ends meet. It takes a lot of the pressure off. Another freelance career you could pursue is that of a professional trainer. If you have some work experience at middle or upper management of a particular industry, you could easily become a trainer for junior level workers. There are lots of training agencies that you could network with these days or use LinkedIn to develop your own network! I was a DIY when it came to my taxes. But once I went entrepreneur, I hired a CPA to handle my taxes. Too many moving parts to keep track of for me. I’m sure I could still do my own taxes, but I am also sure I would miss out on some deductions! Completely agree with the hiring a tax accountant. I’m a CPA and I’ve seen so many people miss out on deductions as well as some costly errors. If you have a simple return, it’s probably not worth it, but often accountants pay for themselves in the long run. Think of it as a small investment that will pay dividends down the road! Yes it is true that freelancers can truly do well under the current scenario. Where one can prosper with this portfolio with or without any stable jobs. But affluency in work is needed to make it big in life.